Villa back on course after perilous March squall..
Villa’s three-nil victory against Reading on Tuesday night was greeted with some huge sighs of relief as Bruce’s boys established an eleven-point cushion between themselves and Bristol City in seventh place, after what was a discouraging run of results over the latter weeks of March. Thrashing Wolves proved a distraction. Queens Park Rangers looked like a disaster. And, Bolton Wanderers looked like the weather gods were conspiring against us, as Villa’s hopes of finishing second melted with the snow. The goalless draw against Hull suggested that the international break hadn’t done Villa much good either, as they schlepped their way through an uninspired second-half without creating a chance. The dread that Villa were about to go on one of those losing streaks which characterised last season, was unavoidable. 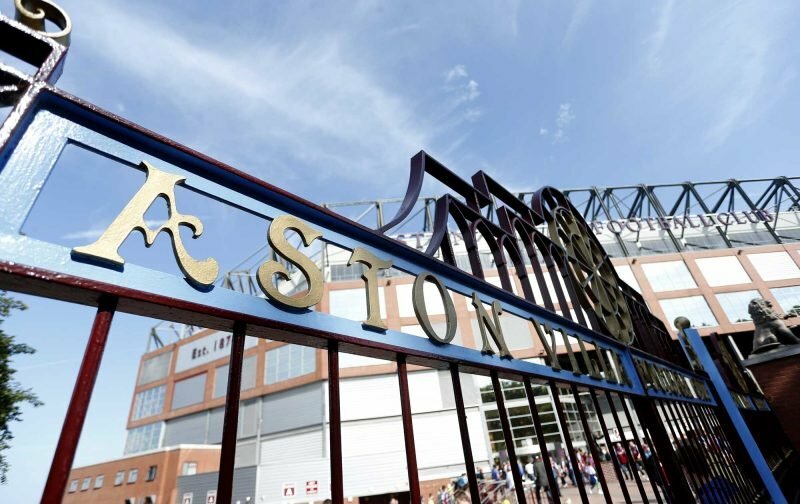 The line-up against Hull suggested that Bruce was managing Villa’s resources in the knowledge that he couldn’t play his best team in every one of the five fixtures in thirteen days, which the EFL had kindly arranged. But things didn’t look much better during the first-half against Reading, with Villa overwhelmingly dominating possession but being wasteful with their chances. It took two very late challenges from Reading midfielder David Edwards and a super-strike from Birkir Bjarnason to end any doubts about whether Villa would take all the points. And, just as importantly, ensure Bruce could take off some crucial men, while the eleven which saw out the game, could do so at a pace no more taxing than a stroll. News that Wolves had only managed to share the points at home to Hull, seemed to suggest that they were definitely missing their star man Neves, due to suspension. The seven points which separate Villa and Cardiff in the table still don’t look insurmountable, but with Cardiff being the Championship’s form team at the moment, Warnock’s team would need to have some kind of nervous-breakdown, to blow it at this stage. Tonight’s encounter between Cardiff and Wolves will be a must-watch for Villans wishing to know the standard Cardiff have reached. Against Reading Villa started the game with Keinan Davis disappointingly missing from the bench and with Grealish playing rather deeper than expected, but Snodgrass had his preferred partner in Elmo working the right flank. But it was Adomah who put in the cross from the right, which offered Villa their first chance of the game, which the late-arriving Grealish volleyed over, much to the chagrin of the cocked and ready Hogan. It was Adomah back on the left who put in the cross which the Snodmeister nodded down to Hogan, who was unable to turn and it was cleared upfield. But Reading couldn’t relieve the pressure and Villa came straight back. Adomah sent in another cross with his right foot from the left but defender Gunter beat Snodgrass to the ball and headed it out for a corner. Hourihane worked the short-corner and Snodgrass sent in a cross right on the head of Bjarnason who got too much of a contact and it went wide, much to his disappointment. Villa then turned defence into attack. Adomah in the left-back position cleared down the line to Hogan, who turned it inside to Bjarnason, who sent Grealish away, and Edwards took him out from behind with his studs showing, as he earned his first booking. The Villa contingent were getting a bit restive with Villa’s possession without threat, when Edwards did the exact same thing again on Bjarnason and he got his marching orders. Villa were sending in the crosses but with little result. Elmo and Snodgrass combined on the right and the latter’s cross was straight onto Hogan’s head but his attempt was too central to trouble goalkeeper Mann one. Villa came excruciatingly close to scoring when they turned defence into a breakaway attack from a Reading corner, when Snodgrass and then Grealish, with a superb cross-field pass, sent Adomah away down the right. Defender Abiola managed to get a touch on Albert’s curving pass and then Mann one somehow managed to keep out Hogan’s toe-ender. Gunter sent it behind for a goal-kick via Snodgrass’s toe. Villa were dominant but frustration was increasing as a series of crosses brought no reward. Snodgrass managed to get the ball to Hourihane while lying on the ground and Conor hit a sweet shot, which Mann one saved at the foot of his post. After some bright play from Villa and some scrambled clearances from Reading, Mann one saved comfortably from a Snodgrass shot. Villa were dominating but not making much of an impression. Reading seemed to have deserted the midfield at the start of the second-half, and while they were still parking the bus, Grealish enjoyed the wide-open spaces. He exchanged passes with Snodgrass, and with very little pressure on the ball, the crossmeister jinked inside, drew a defender, and while Reading stood ball-watching, he rolled a straight pass along the edge of the Reading area, where, with the defence still standing off, Bjarnason hit an oh-so-sweet shot into the top corner from the ten-metre radius. It was a quality goal which deserved every superlative it received. The breakthrough had arrived and the relief was palpable. Reading looked beaten, Villa looked more measured, and it was just a matter time before they got a second, to seal the game. It came when Snodgrass clipped in a little cross from close in, which was helped on by defender Moore’s head and Hourihane deftly nodded home his tenth goal of the season. Bruce rang the changes, as Onomah came on for the Snodmeister and fit-again Kodjia came on to a warm welcome as Adomah was withdrawn for a rest. Villa’s third was not long in coming and resulted from goalkeeper Mann one making a complete hash of a routine back-pass, under pressure from Hogan, and Villa’s number-nine took full advantage of the goalie’s nightmare double-touch and slotted home. It was the cherry on the cake for Villa and Bruce took the opportunity to give our Jack a rest, five minutes later, by bringing on Whelan, who quickly looked like the busiest man on the pitch. Villa were enjoying their stroll and Hogan might have made it four when he sent a header over the Reading bar from a perfect cross from Hourihane. As Villa enjoyed total dominance, goalkeeper Mann one was forced into making saves from Kodjia, low down to his right and then down to his left from a Hourihane shot. The final whistle went and the faithful went home knowing how important the win had been and with the pleasant knowledge that the football gods had smiled upon them. The future looked bright but it didn’t look orange. Villa have another double-dreader this week, with the awful combination of a long trip to Norwich for a lunchtime fixture against the Canaries, followed by Tuesday night’s big one with Warnock’s Cardiff City. The two games offer a huge challenge to Steve Bruce’s ability to manage his resources and creates numerous quandaries and dilemmas, which might change according to the result between Cardiff and Wolves. I think beating Cardiff at Villa Park will be a higher priority for the fans than the Norwich game. If it is going to be the play-offs, then Villa need to show they can produce the sort of quality that will be required at some point in the knockout stages, and the Cardiff game offers that opportunity. Bruce needs to rise to the level of judgement his old mentor Siralex used to demonstrate, when he always seemed to know exactly the strength of side he needed to beat particular opponents, but obviously having van Nistelrooy on the bench certainly offered a lot of insurance, should he get it wrong. It is another massive few days for Villa and we will need more bottle than an axolotl if we are to come through with credit. FFS. Is hilarious. Damn auto correct.